The team behind WE: A Manifesto for Women Everywhere on their life hacks, books that changed their lives and how they overcome failure. Gillian Anderson: Open the blinds to wake the kids who have ended up in my bed. JN: Human connection. It can just be for a moment but I’m transformed by the power of it, even if it’s just the smile in the news vendor’s eyes as I buy my paper. GA: Gratitude changes everything. When I chose to be grateful I am kinder to myself and others and its contagious. JN: Letting go. When I’m locked into a tug of war with life releasing the rope produces amazing results. GA: Eckhart Tolle’s The Power Of Now. JN: The Artist’s Way by Julia Cameron. GA: No, but it’s not far away. I don’t do social media on it which makes a big difference to the quality of my time and therefore the quality of my life. JN: I love my phone — some would say way too much, it houses my meditation timer and I fall asleep listening to spiritual podcasts on it. But, that does mean it’s way too easy for me to get distracted by it for less healthy pursuits. GA: I answer it throughout the day, and after kids are home, I try not to touch it until they are in bed. JN: Badly! When I’m writing I try not to check them until noon but it’s a rule I break more often than I keep. GA: Lately, read the news, because I am often not as current as I’d like to be. JN: I breathe and try not to fritter it away. GA: Last Autumn because I’d been doing back to back everything for years. JN: Making a film for the Green Party. I was already working at capacity on the book and my ambitions for it were way bigger than the budget, the time available and the person power we had at our disposal. GA: recently watched a piece of work that I’d done and felt that it wasn’t as good a performance as it could have been. But the facts are the facts. There is nothing I can do about it now. Spending mental energy on regret I’ve learned is a miserable place to live and wastes my present. All I can do in this moment is learn from my mistakes and try to do better next time. JN: I don’t think in terms of failure or of success. I do my best and the results are not my business. 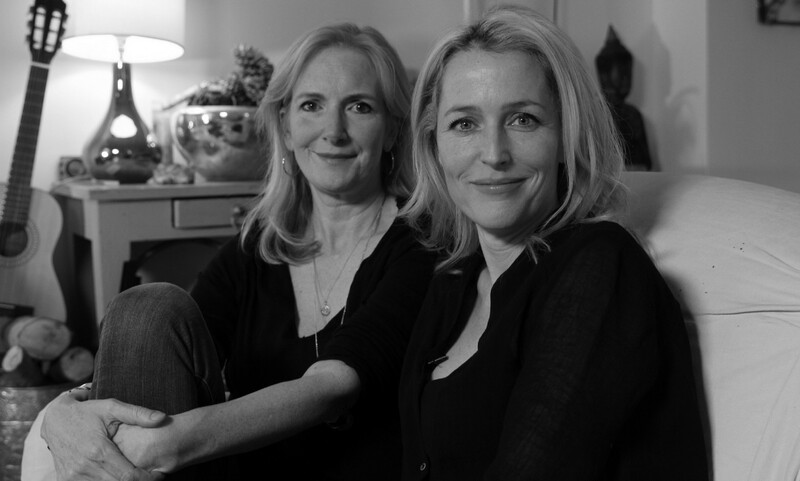 Gillian Anderson is an award-winning actor and producer and the co-author of WE: A Manifesto for Women Everywhere. Jennifer Nadel is an award-winning broadcast journalist the co-author of WE: A Manifesto for Women Everywhere.